I associated bottle gourd (gardudde in Konkani) with mostly with the burfis(khadi). It was my favorite sweetdish while growing up. So whenever we got this vegetable, which was not that frequent, aayi made sure to prepare the burfis. Thanks to the yoga guru Ramdev’s TV programs, I started hearing more about this lauki(in Hindi). Due to the medicinal values of this vegetable, I started buying it and now it has become a regular in our diet. When I asked aayi for other dishes that we make with bottlegourd, she mentioned this ambat. This gardudde ambat is made like any other Konkani dali ambats. 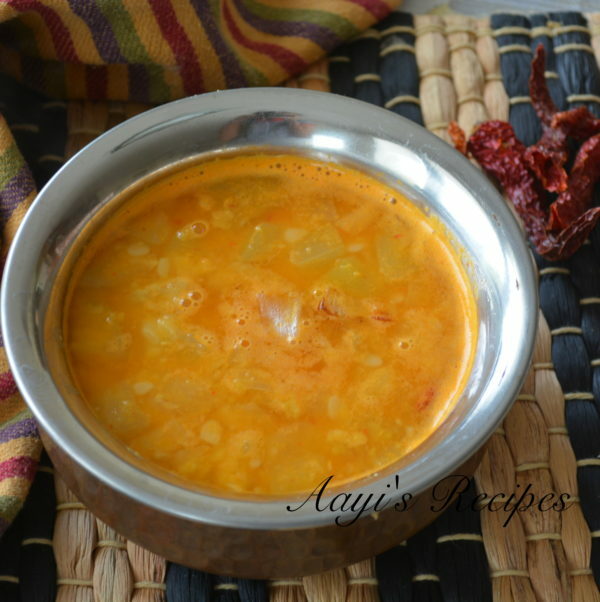 Dali ambat is made with toor dal, a coconut masala and a vegetable. Finally a onion or mustard seeds-curry leaves seasoning is added. 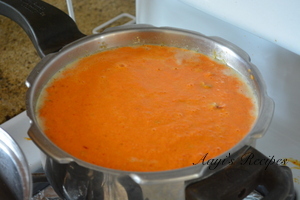 The taste of dal is influenced largely by the taste of the vegetable used. 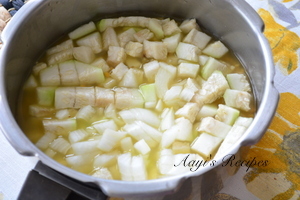 Cook bottle gourd with dal and onions. 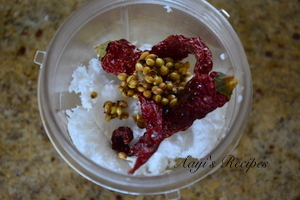 Fry coriander seeds and grind with red chillies and coconut to a smooth paste. 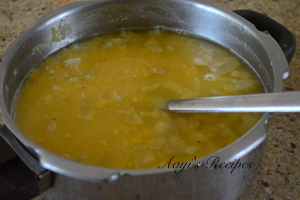 Add it to cooked dal. 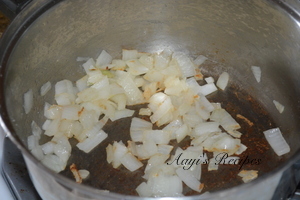 Fry remaining onions and add as seasoning. Will definitely try this.In north India same we make loaki with channa dal(yellow one).A pinch of hing is necessary when channa dal is used for digestion purpose.I just pressure cook dal (soaked first)and loaki with turmeric, salt, ground ginger with green chili paste. Then throw in tarka of jeera and hing with fried onions and garam masala. 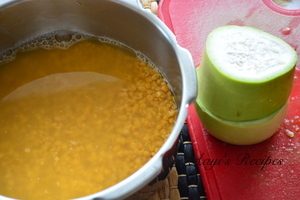 I love bottle gourd dal. 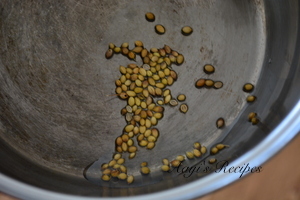 Lauki with chana dal is one of my favourites. We do not usually put coconut in it. Will try your recipe. Thank you for sharing!